Maine Traditions Prefinished Hickory Flooring - Goosebay Sawmill and Lumber, Inc. 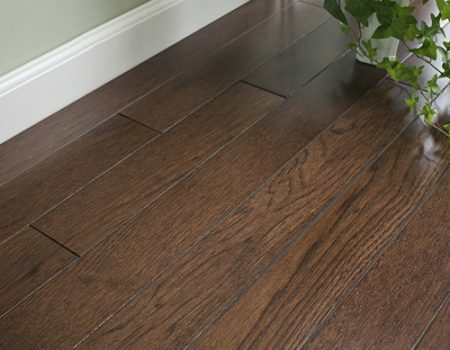 Among the densest of American hardwoods, classic Hickory is as durable as it is beautiful. 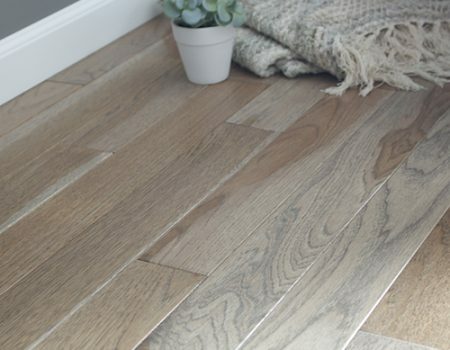 With hardness often utilized in the manufacture of hand tools and sporting equipment, this handsome species is also a perfect choice for truly beautiful, rugged flooring. 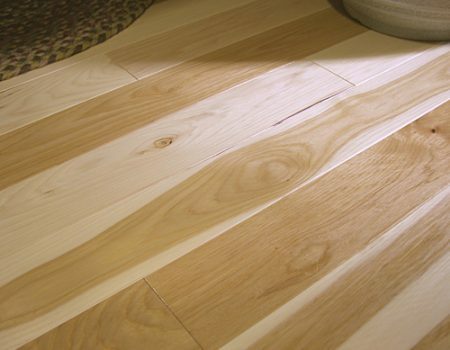 Maine Traditions produces its refinished Hickory in our Natural grade, which utilizes the entire run of Common & Better lumber combined into one diverse grade. 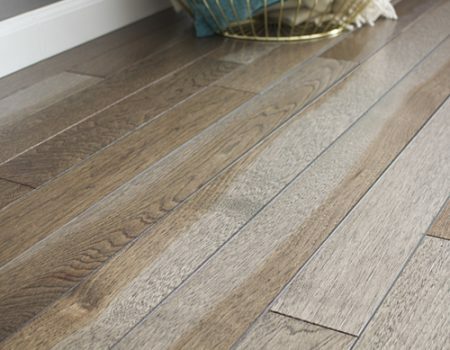 This more rustic mixed grade allows for natural variations in color, character and grain, resulting in a distinctive, visually interesting floor with good board length. Patented TEMAVI tongue & groove for improved uniformity and ease of installation, with stable, quiet joints that virtually lock together. Nano PLUS high-tech UV cured polyurethane finish for beauty with unprecedented durability. Manufactured with pride in Maine. Responsibly grown and harvested in the USA, FSC certified. Please note that these swatches are only a representation of Maine Traditions flooring, and that actual colors may not be perfectly accurate. 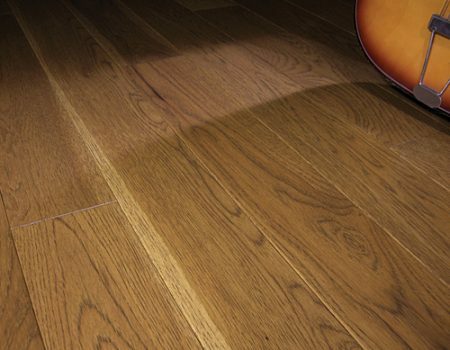 Also, variations in the wood’s natural color and grain, as well as your room’s furnishings, lighting, windows and other variables may affect your hardwood’s appearance.